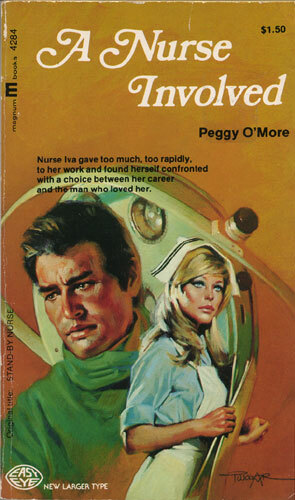 Nurse Iva gave too much, too rapidly, to her work and found herself confronted with a choice between her career and the man who loved her. The staff of City Core Hospital was faced daily with the problem of saving the lives of would-be suicides and of keeping these patients from trying again and again. Nurse Iva Loring had an inner drive that had taken her through school and training at top speed. She gave too much, too rapidly, to her work and was on the verge of a nervous collapse when she took time off to regain her perspective on life. Now she was easing herself back into work as a stand-by nurse. Her special empathy for the depressed and discouraged made her an ideal nurse for the suicide detail. But there was a question of whether or not she was too understanding and too involved to be effective. Iva, herself, had to examine her values and choose between the career to which she was dedicated and marriage to the devoted young hospital pharmacist who had stood by her without making any demands on her emotions. Could Iva make that choice?